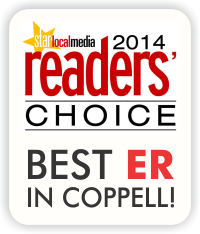 Readers of the Coppell Gazette selected Elite Care 24 Hour Emergency Room as the best emergency room in Coppell, TX in 2014! COPPELL, Texas — A trusted emergency room and supporter of local business, Elite Care 24 Hour Emergency Room is entering the new year with its first Reader’s Choice award from the Coppell Gazette. Lori Guerrero, Administrator of Elite Care 24 Hour Emergency Room in Coppell attributes their selection by locals to their prompt, specialized service. “The physicians and staff of Elite Care ER find the keys to success in being able to provide patients with individualized and customized emergency care, both in our emergency room and when they leave the facility”, Guerrero said. The staff at Elite Care have the time and desire to help their patients in whatever way they need. As part of their ongoing service, each patient receives a follow-up phone call to monitor their progression. She also acknowledges that being detached from a hospital allows them to solely focus on emergency care, attributing to short wait times for patients. The wait time for Elite Care patients is none to minimal as compared to a hospital-based ER. Physicians and medical staff are able to diagnose and treat medical emergencies quicker than a traditional ER. Guerrero is humbled by the outpouring of support from the community and looks forward to continuing on this trajectory. 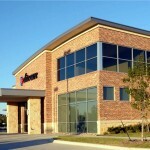 Elite Care Emergency Center represents a new approach to the delivery of emergency medical care. Elite Care facilities are fully equipped emergency centers, located in greater Houston, San Antonio and the Dallas-Ft. Worth, Texas metroplex. Elite Care provides the same 24 /7 emergency medical care found in hospital emergency rooms.